Manage email alerts for practice chat to ensure you don't miss a message from a colleague. TheraNest created email alerts to ensure you do not miss a message from a colleague. 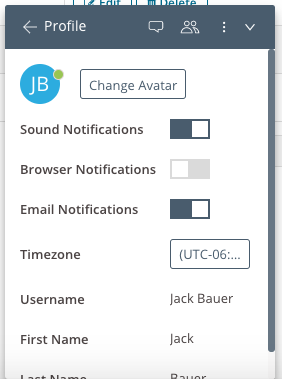 You can manage your email alert preferences from your chat profile. Find the dark blue chat bar in the lower right corner of any TheraNest page. Select the arrow to expand the chat window. 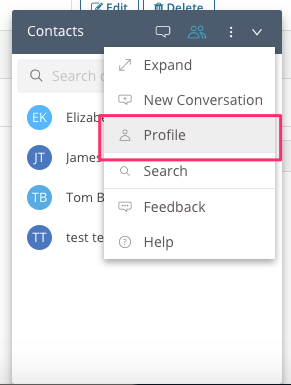 Click on the three vertical dots in the chat menu bar and select Profile from the dropdown. 3. Toggle your preference to receive email notifications. Blue = email alerts are active.